If you are looking for information on how to fix a blocked drain Melbourne then you just landed in the right place where you will get crucial information on what to do when you experience a blocked drain. A Blocked drain is irritating and stressful in nature owing to unpleasant smell and overflowing/flooding but the good news is that there are several home plumbing tips you can use to clean it up and make it functional again. Use of drain rods – these are long flexible rods which can be connected together and inserted into the drain as an attempt to unblock them. This is a great way for clearing up a blocked drain Melbourne, but it should be handled by an experienced person to avoid further compounding of the blockage. Use of drain cleaning chemicals – you can buy these chemicals and use them to clean up the blocked drain. However, they are only effective for a small blockage and are therefore not recommended for large blockage since they won’t fully unblock it and it might recur in future. 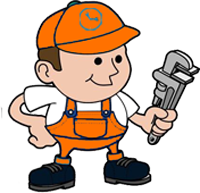 Contact a reputable plumber – If all the above methods fail, then it’s a high time to invite a professional plumber in Melbourne who will provide a lasting solution to your drainage system using highly efficient tools. That’s how you can easily fix blockage drain Melbourne. These do it yourself home tips are effective and cost effective but in case your drainage proves worse, contacting one of the many professional plumbers in Melbourne will be a great decision.